View Beautiful Wellness Center offers intravenous vitamin and mineral formulas to treat various clinical conditions such as seasonal allergies, fatigue, acute asthma attacks, upper respiratory tract infections, migraines, and more. In fact, IV infusion therapy is the fastest and most efficient way to receive nutrients. Call or book an appointment online with View Beautiful Wellness today to start your IV infusion therapy program. Many vitamins and minerals are damaged by stomach acid as they travel through your digestive system. Even if you consume all of the nutrients you need every day, your body may be using only a fraction of that amount. You may have heard of intravenous (IV) infusion therapy referred to as the “Myers’ Cocktail” which was named after the late physician from Maryland, John Myers. His infusion therapy “cocktail” consists of magnesium, calcium, B vitamins, and vitamin C.
IV infusion therapy places nutrients directly into your bloodstream where your body can use them right away. They're still potent, and your body receives the maximum benefit. IV infusions are ideal for certain vitamins and minerals that are extremely sensitive to heat and stomach acid. Why are IV infusions so important? IV infusions are crucial if you have difficulty absorbing nutrients naturally. They're also an ideal way to provide immediate nutrition if you're suffering from any nutritional deficiencies. Vitamin B deficiencies, for example, can result in anemia and a weakened immune system. Nutritional deficiencies can hasten the aging process and cause your immune system to function poorly. IV infusions can boost your immune system and strengthen your skin and musculoskeletal system so that you look and feel your best. We determine if a deficiency is present and if an IV infusion is right for you. The number of infusions you need is determined by why an IV regimen is required. If the goal is to improve the look and texture of your skin and tissues, the quantity and potency of the infusions may be minimal. If you're experiencing a nutritional deficiency, you may need multiple infusions. That allows you to receive what you need while treating the cause of the deficiency. If the infusions are used to treat a specific health condition, like allergies, asthma, migraines, or fatigue, we may recommend that you receive them several times a month. 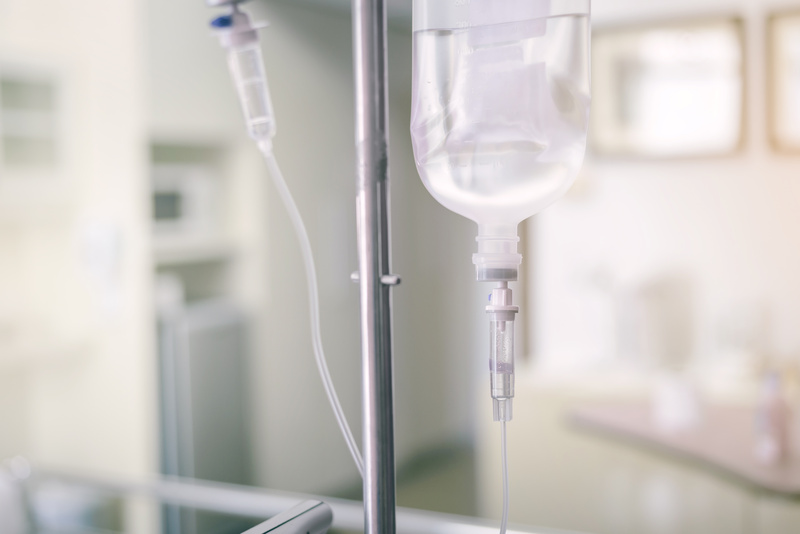 IV infusions keep your body functioning efficiently and allow you to maintain your day-to-day schedule without feeling tired or experiencing severe symptoms. Click here to read about Myer's Cocktail.